Mission: Colorado Pharmacists Society promotes, develops, and advances the profession of pharmacy to optimize patient care and public health. Vision: Colorado Pharmacists Society is the leader in advancing pharmacy professionals as essential providers of health care. It was a busy two days with a fantastic line up of speakers including a presentation by CPS lobbyist Katie Wolf on Legislative Solutions to the opioid crisis, Thursday night Awards & Installation Dinner followed by the Reverse Happy Hour, Friday morning student & resident poster session, and wrapping up with the Annual Town Hall Meeting. There were two sessions recorded. The Colorado Pharmacists Society improves patient care and public health by advancing and supporting the professional practice of pharmacy while serving as the voice of pharmacy in Colorado. CPS provides support and services to over 800 member pharmacists, technicians and associated pharmacy professionals. CPS represents pharmacists in all practice settings at state and national legislatures, boards of pharmacy, professional meetings and seminars. 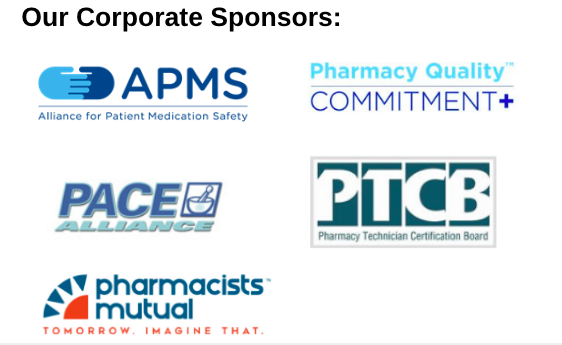 CPS maintains affiliations with these national pharmacy organizations – American Pharmacists Association, American Society of Health-System Pharmacists, National Community Pharmacists Association and American Society of Consultant Pharmacists. The CPS legislative committee helped build a coalition supporting regulatory change permitting immunizations administered by pharmacists and establishing Drug Therapy Management in Colorado. CPS is also assisting the department of Medicaid in their promotion of a program that will pay pharmacists for drug therapy management services. CPS monitors and lobbies over a dozen bills every legislative session affecting the practice of pharmacy in Colorado.The 2016 legislative session concluded in June with Governor Hickenlooper signing Senate Bill 16-135 into law. This bill will amend both the Pharmacy Practice Act and Colorado Insurance Code to expand practice opportunities for pharmacists and provide a pathway for reimbursement for pharmacist services. CPS provides over 30 hours of continuing education every year. CE programs are offered in a variety of venues, including annual meetings, full day seminars and evening dinner programs. The State of Colorado requires each pharmacist to complete 24 hours of ACPE approved continuing education every two years. The Colorado Pharmacists Society offers regularly scheduled, ACPE approved, Continuing Education programs including hour long evening programs, the Annual Meeting and Exhibition and the Annual Winter Continuing Education Seminar. 30 hours of continuing education per year. Two annual meetings per year, providing 10-15 hours of ACPE approved CE per meeting. Evening CE programs providing 1 – 2 hours of ACPE approved C.E. per event. CPS/School of Pharmacy Program C.E. Program providing 6 hours of ACPE approved CE. Bi-weekly electronic newsletter providing the latest news and information. Website providing information on topics pertaining to pharmacy on a state and national level. E-mail notification of upcoming CE programs and other pharmacy events. Representation of the interests of CPS members at the State Capitol, nation’s Capitol, State Board of Pharmacy, Department of Health Care Policy and Financing (Medicaid). Information on Continuing Education Programs; register through the website. Information on the CPS Annual Meetings. Information on state and national legislation. Information on Drug Therapy Management. State and national pharmacy news.